For those that were early on the list, B&H started shipping Fujifilm's X-Pro2 earlier this week. 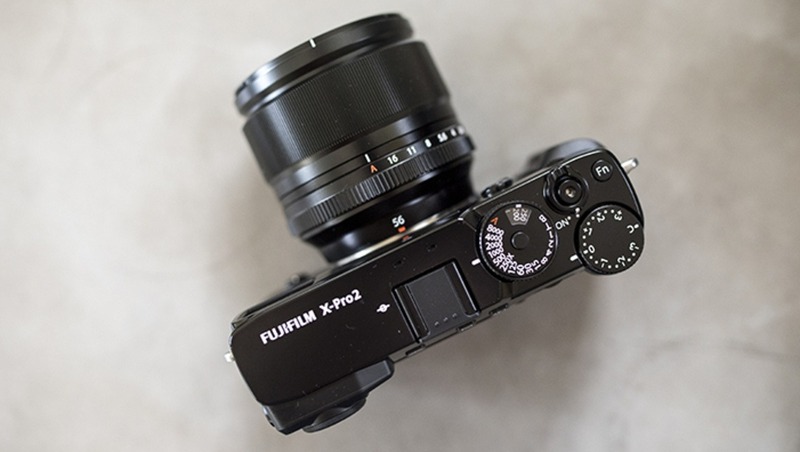 The review process is certainly under way, but in the meantime, here's a quick first look at the much-awaited Fujifilm X-Pro2. 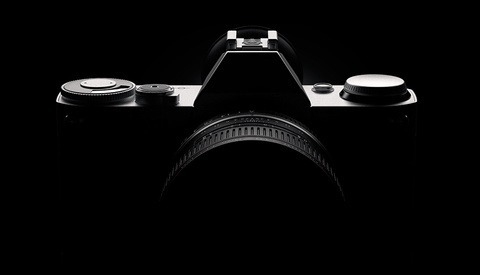 We'll skip the broader history lesson, but the X-Pro2, for those who don't know, is the new flagship camera of Fujifilm's X-series -- a lineup of APS-C, mirrorless rangefinder-style bodies. And as the X-Series (most of which feature unique X-Trans sensors) has developed over the last several years, the X-Pro2 is essentially supposed to be about the best mirrorless camera you can get, considering price, performance, system support, etc. Opening any new package brings memories of Christmas. But the real treat begins in picking up the camera and holding it for the first time. Especially as I am coming from a DSLR world, the X-Pro2 is remarkably light. As one solid piece that's lighter than it looks, it feels fantastic in the hands. Upon running my hands over the camera for the first time, it was obvious this is deserving of the "Pro" moniker if only in build quality and nothing else. The buttons are rigid and deliberate, the dials are formidable with useful and practically carved textures. The ISO dial that lifts up to rotate is beautifully reminiscent of my favorite film cameras. Everything about this camera feels great. On one hand, the controls might feel a little small for the veteran pro DSLR shooter. But, it's a more intimate experience and far from uncomfortable — just different, as to be expected. Mistakes? Or Something to Get Used To? Naturally, the first steps of taking it all in include finding the things that are really fantastic about the camera in addition to the glaring mistakes (every camera has one... or four). The dual SD card slots are a nice feature, and while the door seems slightly on the loosey-goosey side, playing around with it for a while assured me the extra play in movement is so it can give with the user and not because it's an oversight. The dual rear and front command dials are great, but the usability of the front dial isn't the best once you switch the shutter speed adjustment responsibilities to the more proper rear dial; and both are a little too imprecise and a little too easy to move (again, coming from my Nikon DSLRs). The exposure compensation dial's firmness is just right to adjust with the thumb, but slightly too easy to knock out of place accidentally. 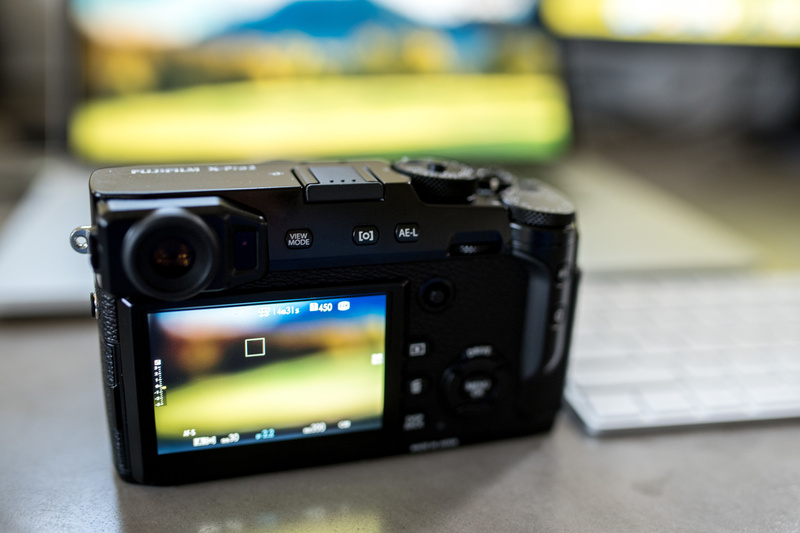 Although it would admittedly be odd, I would like to be able to expect a firmware update to lock the dial via software for this reason, but my gut tells me Fujifilm will stand by its design wholeheartedly. The AE-L and AF-L buttons are fantastic, but were the first buttons to be reversed in the settings for my preferences (I also locked AE along with AF with a press of the AE-L button). And the viewfinder, as great as it is, is a bit on the slow side when it comes to switching from live view on the back of the camera. This last part, however, is easy for me to forgive, as I'd turn live view off entirely and keep only the EVF going fulltime. That's how I prefer to shoot, so I don't mind if switching between viewing modes is slow. Autofocus seems a bit slower in some situations and a bit inaccurate in others, but it's almost unfair for me to say this considering I've only had the chance to shoot "stupid" photos indoors, late at night, and only with the 56mm f/1.2 at this point. Later today I'll throw on some other lenses and will give the camera a real shot in lighting conditions under which I could realistically expect great results. Finally, some of the buttons (mostly on the D-Pad) are very "clicky." The short travel distance of the buttons isn't as big of a deal as the noise they make, but neither feels perfect in this regard. If you don't mind the extra clack of these buttons, however, they do work excellently. But a softer button with the D-Pad like that on the Nikon DSLRs would be much more preferable. On this note, the viewfinder is an obvious highlight of the X-Pro2. I, perhaps notoriously, crop in-camera quite a bit with my framing. I don't give myself much room at all. Now that I'll be shooting with a rangefinder for this review (of course), I'll have to adjust my style slightly to allow more room. 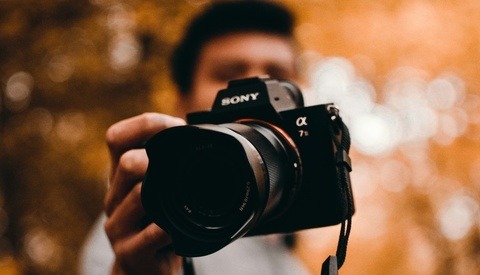 To this extent, the digital framing lines within the camera with the option to show the boundaries of the final frame that will be captured are extremely helpful. Along with this parallax correction comes an option (off by default) to show a corrected autofocus point position once focus is acquired with this adjustment in mind. While this isn't an issue in live view, where you're seeing what the sensor sees, it is imperative as far as I'm concerned when shooting with the EVF. Without it, it seemed like I was constantly front-focused or back-focused (depending on how I held the camera, vertically or horizontally, and increasing in severity with closer subjects, as you'd expect) compared to my initial intention. This takes 90 percent of the trouble of shooting with rangefinders out of the picture, which lets you enjoy them as much as possible with more accurate and precise framing and focusing made possible because of this EVF alone. UPDATE: The comments made in the last two paragraphs about the difficulties of shooting with the EVF were meant to discuss the difficulties of shooting a rangefinder like the X-Pro2 with the optical viewfinder (and the mitigating effect that the hybrid viewfinder of the X-Pro2 has on those difficulties). The X-Pro2's EVF features a fully electronic mode, of course, that is extremely effective and that also shows the image as it will be taken, just as with live view on the LCD. However, I personally prefer the look and feel of an optical finder, which is why these performance enhancements were particularly important to me. It's hard to call out a single feature of the X-Pro2 that is its strongest improvement over earlier Fujifilm X-series models. But if I was forced to, it would certainly be between the EVF and the new "Focus Stick" or "Focus Lever" (apparently no one can decide what to call it, but it would more accurately be called the "mini joystick"). The joystick is similar to what the pro-level Nikon D4/D5 and Canon 1D X cameras have. This selector is useful for closer-to-the-thumb access in addition to the more omni-directional D-Pads even on those cameras, but it's another feature I would consider a no-question-about-it-must-have for the X-Pro2, which has a four-direction D-Pad of which its four buttons are normally assigned to specific setting functions no less. The new joystick allows for simple and fast selection of any of the camera's 77 selectable autofocus areas. Of course, the joystick also comes in handy for a variety of navigational functions while in the menu if you so prefer. The build quality was touched on earlier, but it's worth giving one more note that this is a seriously premium product. It is obviously built like a tank, and the body should far outlast the internal components. 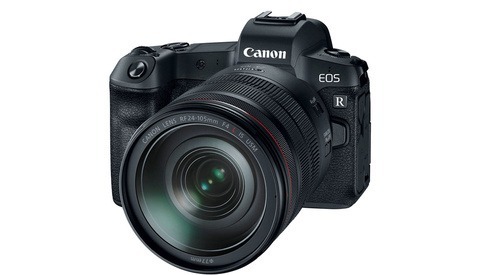 Weather resistance, UHS-II SD card compatibility in slot 1, and an almost ridiculous 273 focus points round out what should be a great camera. I look forward to giving it the full run-through over the next few days. I rarely get to ask this before a review, but what are you all hoping to see or learn about the X-Pro2 that I can pay special attention to in the review? Let me know below! For those that haven't ordered yet and can't wait, the X-Pro2 is available and shipping (although an order now will have to wait some time for stock to come in) for $1,699. Hey! As usual with Fuji, have you turned high-performance mode in settings? This should help with AF and also increase EVF refresh rate, I believe. I'm pretty sure high performance mode only effects refresh rate when compared to standard. Standard to economy will effect the refresh rate and the focus speed. I own the X-Pro2 and I'd love to hear your thoughts on the color accuracy of the EVF (more specifically blacks/shadows) and how reliable the picture-in-picture EVF is for judging exposure in bright sunlight or in a dark environment. I'm finding that I need to look at the histogram to get an accurate exposure more than I had to with the X-T1. I'd like to know more about the shutter latency with AF, without AF but with AE and lastly in manual with no AF or AE. I have an x-pro1 (great camera) but it suffers from latency particularly in the two former cases. Some timed measurements would be of interest. If it helps, I can tell you right now that I just ran though a test and couldn't find any difference between any of the settings. Shutter latency doesn't seem like an issue at all. While my Nikon D750 seems more instant (there's just zero noticeable shutter lag on that camera and on most modern DSLRs as far as I'm concerned), the X-Pro2 still does an amazing job there. It's ALMOST unnoticeable and is more than adequate for any shooting scenario as far as I'm concerned. I don't think that'll be a complaint from anyone on this model. On the previous model I have seen many complaints about it's AF. How bad is the AF on this model? I won't be commenting on this any further than I did in the "First Look" article above simply because I have not yet tested other lenses and/or even outdoor scenarios. At the moment, I simply haven't had much time with the camera. But I will definitely address this in the full review. Thanks for asking! Thanks man. I like the price of the previous model but I just don't know about the AF and I have no way of testing either out as I live outside the US. Makes sense. I think the X-Pro1 should mostly be considered obsolete. Not that you can't get great shots with it or anything. Of course you can (and many still do). But more from the standpoint of buying a camera today...the X-Pro2 will definitely be the way to go (or an X70 or similar that has a newer sensor, etc.). AF will be a huge focus of the review of the X-Pro2 in any case. I immediately switched the ae-l and af-l buttons too. I don't find back button focusing on this camera ergonomically great, especially when shooting vertical, but it is fine enough. Coming from the Canon 5d iii and shooting in complete manual, I would like the ability to map ISO to one of the dials. The pull up function of the ISO dial is incredibly slow and about 25% of the time I will accidentally change the shutter speed when doing so too. Outdoor portraiture. Particularly in nature. I am seriously considering switching to Fuji, but the bulk of my portrait work is outdoors. If it cannot deal with highlights well, or the bokeh is terrible, I don't want it. I have heard of the watercolor effect found on the 16mp bodies, but also that the 24mp sensor should alleviate it. And if switching af points is easy enough to get eye af, I will bite the bullet and do it. Do you feel the rangefinder is still worth having? It seems to me like it made sense back in 2012 when EVFs weren't great but now it really feels like a novelty. It makes the camera considerably larger and more expensive. I'd even go as far to say it puts the X-Pro 2 up against the A7II more than other crop sensored cameras. This is the second article i've read today that calls the X-Pro series a rangefinder. It's NOT a rangefinder camera. It is shaped like one, as far as the viewfinder placement, but that's where it ends. A traditional rangefinder camera is called that because it uses an actual mechanical rangefinder with a square/rectangle patch in the center of the viewfinder as a means to focus the lenses manually, while the X-series camera that are shaped like rangefinders use autofocus or electronic manual focus. I own an X100T and also Leica M6 and a couple other film rangefinders, like a Canonet, and Yashica Electro (hopefully X-pro2 soon).. While the Fujis do handle similarly to these rangefinder cameras, there is a huge difference in the way these cameras work, (x-pro series works like x100 series) enough of a difference where the word 'rangefinder' as a camera description, shouldn't be used interchangeably IMO. An example of what I mean, is that the X-series cameras are much faster to use, one reason being they can mostly be used with one hand, while a traditional rangefinder camera will require two hands all the time (or zone focus).. just one example of their differences in actual use. I understand your frustration, but I also simply don't think it's too important to differentiate. After all, there are certain things about this that really do make the camera behave largely like a rangefinder. The style of it, for one. The shooting style, therefore is similar. And apart from having autofocus (so it's basically just an autofocus rangefinder), it still has parallax issues because of the viewfinder setup just as an "actual" rangefinder actually would when using the optical viewfinder. Hello. I'm interested in zone tracking in AF-C with OVF or HVF. Is it possible at all? Does the live parallax correction work with tracking? Can it match the tracking with EVF? Thanks. Hi. I'm new to Fujifilm cameras (generally shoot Nikon D800) and was interested in any lenses that work with the XF mount of the XPro2 that are different or less digital like the Helios 40-85 I read about in another entry on your site. Thanks.